Acer on Wednesday unveiled a new range of products at its next@acer global press conference. 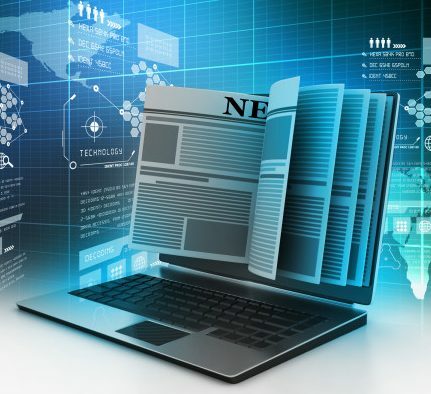 At the event held in New York, the company announced new notebooks, Chromebooks, gaming laptops, and other accessories for gamers, creators, families, students, and professionals. While there were several launches aimed at gamers, the company also introduced the Chromebook Spin 15, Chromebook 15, Chromebook Spin 13, and Swift 5 notebook. Notably, most of the devices will go on sale next month. The Acer Chromebook Spin 15 is claimed to be the industry’s first convertible Chromebook with a 15.6-inch 1080p display. It comes with a convertible 360-degree design. The 1920×1080 pixels resolution delivers sharp visuals while IPS technology provides wide viewing angles for sharing streaming video, Acer claims. The display also supports 10-finger touch for responsive browsing and running apps. The display comes with an additional display area for apps and tabs, as well as, a full-sized keyboard. Notably, the Chromebook Spin 15 weighs 2.1kg and is equipped with two upward-facing speakers. The new Acer Chromebook Spin 15 is promised to deliver a battery life of up to 13 hours. It is powered by the quad-core Intel Pentium N4200 processor, Intel Celeron N3450 processor, or the dual-core Intel Celeron N3350 processor. It comes with 4GB or 8GB RAM and either 32GB or 64GB of inbuilt eMMC storage. Connectivity options include 2×2 MIMO Wi-Fi 802.11ac, and Bluetooth 4.2. Also, there is a 720p HD webcam with HDR and a wide field of view. The Chromebooks run on Google’s Chrome OS platform, which provides automatic updates and multiple levels of security. The Acer Chromebook Spin 15 comes with two USB 3.1 Type-C generation 1 ports. In addition, the Acer Chromebook Spin 15 includes two USB 3.0 ports and a MicroSD card reader. Acer has also introduced a new model in its Chromebook 15 lineup. The budget-friendly device comes with the same 15.6-inch display and a 14-hour battery life. The new Chromebook 15 has a full-HD display in both touch (CB315-1HT) and non-touch (CB315-1H) variants. The Chromebook 15 is powered by the quad-core Intel Pentium N4200 processor, the dual-core Intel Celeron N3350 processor, or quad-core Intel Celeron N3450 processor and comes with two full-sized upward-facing speakers that support high-definition audio. It comes with Intel Wireless-AC 7265 WiFi 802.11ac 2×2 MIMO, two USB 3.1 Type-C ports and two USB 3.0 ports. It will be available with up to 8MB dual-channel LPDDR4 memory and 64GB of inbuilt eMMC storage. The Acer Chromebook Spin 15 (CP315-1H) will be available in the US in July starting at $449 (roughly Rs. 30,700); and in EMEA in June starting at EUR 449 (roughly Rs. 36,000). The Acer Chromebook 15 (CB315-1H/1HT) will be available in the US in July starting at $349 (roughly Rs. 23,900) ; and in EMEA in June starting at EUR 399 (roughly Rs. 32,000). 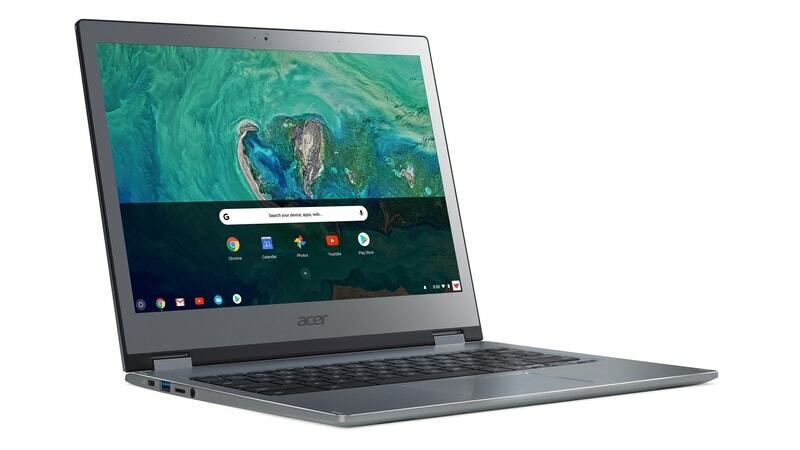 Acer has also introduced two new premium Chromebooks – the Acer Chromebook Spin 13 and the Acer Chromebook 13 – meant for business use. Both the models feature and all-aluminum design and a full-HD+ 13.5-inch display in a 3:2 aspect ratio. They are powered by 8th Gen Intel Core processors. The convertible Chromebook Spin 13 (CP713-1WN) has 360-degree hinges that let consumers use it as a tablet, notebook, display, or in tent-mode. It comes with a Wacom stylus. Meanwhile, the Acer Chromebook 13 (CB713-1W) opts for the traditional notebook design. The new Acer Chromebooks have USB 3.1 Type-C ports on each side for charging them. Both the new Chromebooks also have a USB 3.0 port and a microSD card reader. The Chromebook Spin 13 and Chromebook 13 feature Wi-Fi 802.11ac 2×2 MIMO and Bluetooth 4.2. The Chromebook Spin 13 is powered by an 8th gen Intel Core i5-8250U processor or Core i3-8130U processor. It offers up to 16GB LPDDR3 memory and up to 128GB of inbuilt eMMC storage. It promises a battery life of up to 10 hours. The Acer Chromebook 13 processor options include an 8th gen Intel Core i3-8130U, Intel Pentium 4415U or Intel Celeron 3865U. It comes with up to 16GB LPDDR3 memory and either 32GB or 64GB of inbuilt eMMC storage. Notably, the exact specifications, prices, and availability details have not been shared by Acer yet. Lastly, Acer also announced its new Swift 5 notebook that promises to provide more portability and performance. It sports a 15-inch display and its chassis weighs less than 1kg. The Swift 5 is powered by the latest Intel Core processors and ships with Windows 10. The Swift 5’s display features thin bezels measuring just 5.87mm, giving it an 87.6 percent screen-to-body ratio. The Swift 5 features Acer Color Intelligence technology, which dynamically adjusts gamma and saturation in real-time, optimising screen colour, and brightness. Also, Acer’s BluelightShield technology allows adjusting of the screen’s blue-light emission over extended periods of use. Powered by the latest Intel processors, the Acer Swift 5 promises a good battery life. The Swift 5 features Intel Wireless-AC 9560 which offers Wi-Fi 802.11ac connectivity. It comes with up to 1TB of SSD storage and up to 16GB of DDR4 memory. It has USB 3.1 Type-C Gen 2 port, two USB 3.1 Type-A ports (one with power-off charging functionality), an HDMI port, and an SD card reader. The Swift 5 also supports Windows Hello through a fingerprint reader. 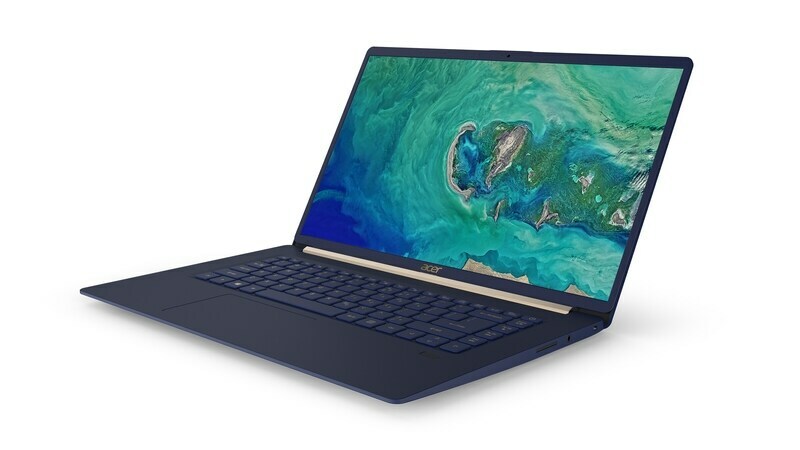 The exact specifications, prices, and availability details of the Acer Swift 5 have not been shared by the company as of now.